actually that of Nelson Soggs. Historical Novel based on the life and times of Nelson A. Soggs. A well documented book covering several extraordinary events that were well published at the time they happened in newspapers across the country and in historical records. Nelson A. Soggs was a New York state Jeweler for most of his life, however there were 5 years out of his life that he spent in the Klondike as a jeweler and gold miner. These 5 years were dramatic and eventful for this small built refined fellow. In Dawson he partners up with a scoundrel who not only steals from him but causes enough fear in Soggs that he takes drastic action. The scoundrel ends up leaving the Klondike and heads to Africa where he is eventually hunted down by the British patrol as an ivory poacher. Born in Warren County, Pennsylvania in 1858, to an accomplished inventor that has many patents under his belt, Soggs becomes a jeweler with a handful of stores in central New York State. When the gold rush began in the late 1800's, Soggs wanted to be part of that rush. Instead of traveling to New York City and Boston to acquire gold, he would go to British Colombia and get his own gold. Soggs leaves a legacy that has enticed the writer to do years of in-depth research to bring his story to life. In one aspect he was a very successful jeweler, but personally he saw heartbreak after heartbreak throughout his entire life. Nelson made his way to the Yukon in 1897 during the height of the gold rush. He spent five ungodly winters there, trudged through knee-high mud of the streets and built a jewelry store made of logs on Front Street in Dawson City. He tragically lost his wife the first winter after her arrival in Dawson - after traveling from Pennsylvania to be with her husband. In this book, Nelson, as well as his inventor father, Henry Soggs, will finally receive recognition for their enduring marks on the pages of history. Nelson A. Soggs was a relative of the author who has done his genealogy in depth. Soggs was one of many unsung people who helped to put a face on what made America great. This book would make an exceptional movie some day. 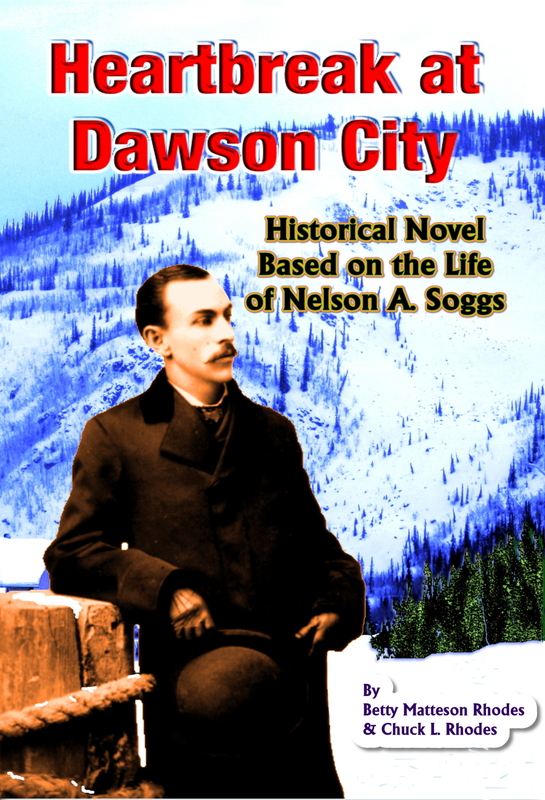 "Heartbreak at Dawson City: Historical Novel Based on the Life of Nelson A. Soggs". Written in 2014. Being sold on Amazon.com as well as here by the author, Betty Matteson Rhodes. Your copy of this book can be personally signed by the authors.